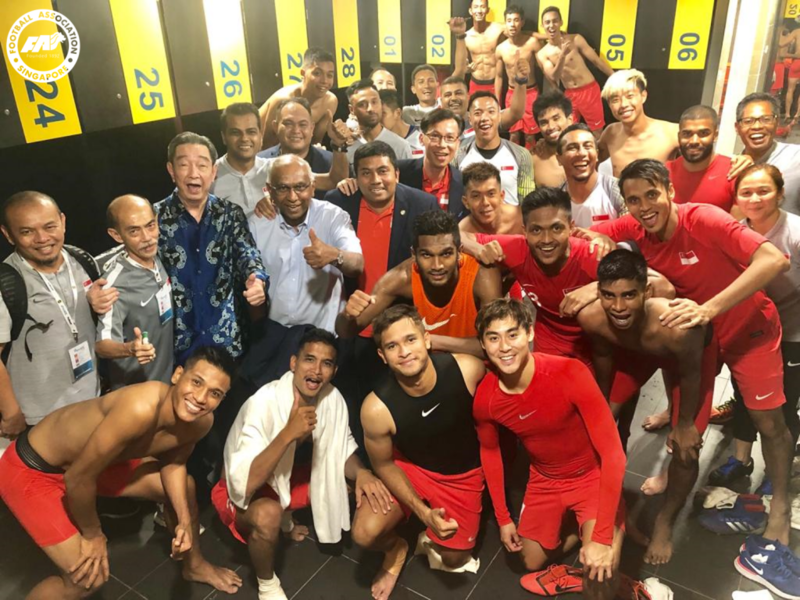 KUALA LUMPUR, 21 MARCH 2019 – He did not have much time to work with his players ahead of a daunting debut assignment as Singapore head coach, but Nazri Nasir’s belief in the team was vindicated on Wednesday night. 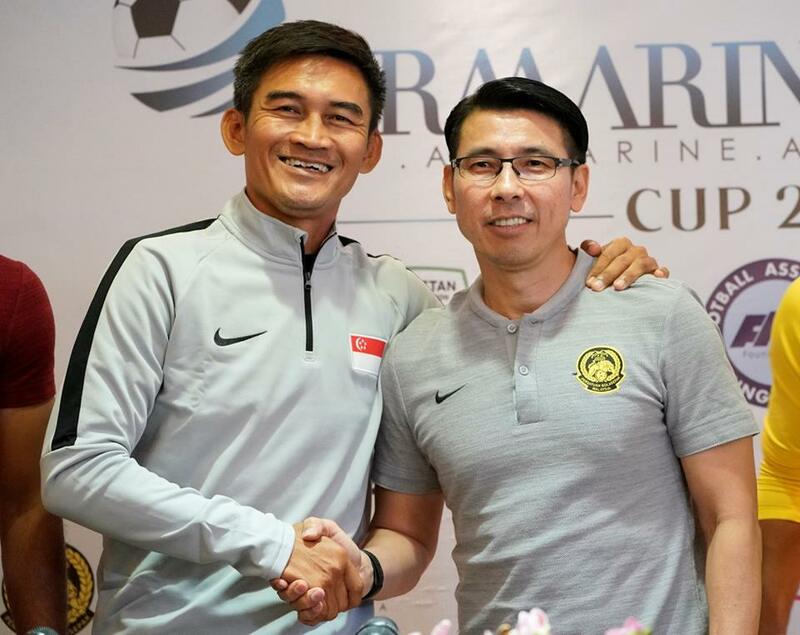 Up against our old rivals from across the Causeway, the former Singapore captain led his charges to a 1-0 win at Bukit Jalil National Stadium to get off to a successful start in the AIRMARINE Cup 2019 – as well as in his biggest coaching role to date. A composed finish from Faris Ramli in the 82nd minute sealed a first derby win in three matches and since 2012, which delighted Nazri. The 48-year-old only had two training sessions with the squad prior to the match and was officially unveiled as head coach two weeks ago, but delivered on his promise to go on the offensive against Malaysia. “As a coach, having two days to work with the team is not easy but when I chose the team for this tournament, it was based on the players’ form and strengths, and the style I wanted them to play,” he told FAS.org.sg earlier today. That meant recalls for Tampines Rovers trio Irwan Shah, Amirul Adli and Shahdan Sulaiman – the former pair were last capped in 2013 and 2015 respectively – as well as club-mates Yasir Hanapi and Khairul Amri, who have performed well for the Stags in their unbeaten start to the season. All five started and it was Amri who provided the killer ball for Faris, who has scored in each of Hougang United’s three matches in the Singapore Premier League (SPL) this year. Yasir and Amri were foiled by the goalkeeper as the Lions took the game to the home side, who were perhaps fortunate to not fall behind. However, things changed after the break and Izwan Mahbud came to Singapore’s rescue on several occasions, which forced Nazri to tweak his initial 4-3-3 set-up. Nazri had also told the team at half-time to take their chances and when it came late on, there was no mistake from Faris once Hariss had won the ball in midfield and zipped it to Amri, who threaded it through the eye of a needle to the speedster. Dressing room scenes after the win!